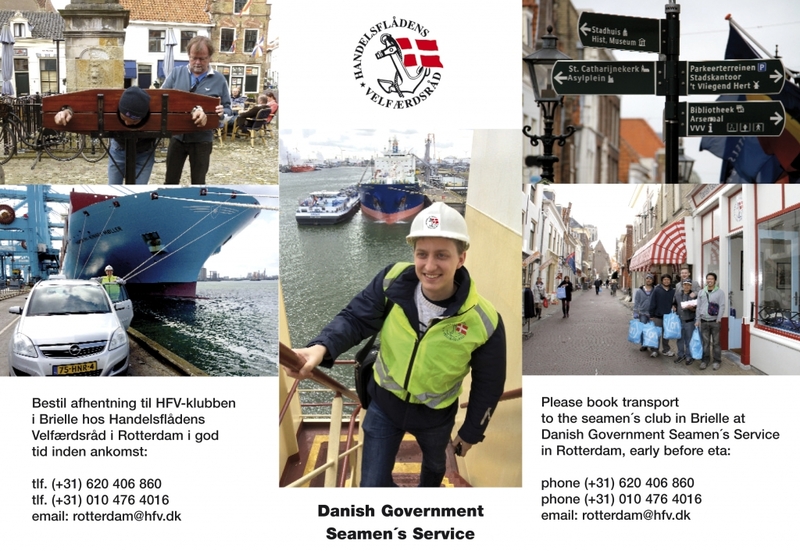 On this page you find more information about all seafarers welfare organizations in Rotterdam. Visits all ships under Danish flag coming to Rotterdam. Delivers fresh newspapers. Provides transportation for seafarers. The Church in Coolhaven provides a cosy home with free wifi, pool table and Danish TV. The new international seamen’s Drop-in center The Bridge is seated in the village of Oostvoorne, close to Rotterdam (Europoort). You can go there to be away from the ship for a short time. During our opening hours from 1600 till 2200 is our host ready to receive you in our fine location. In our seamen’s house you can use our free WIFI/internet, skype, reading table, visiting the village, church or shops. You can also have a personal meeting with a minister. We sell telephonecards, candy, and soft drinks. From October 2016 we will be open on tuesdays, wednesdays and thursdays. When we have more volunteers, we will be open on extra days, beginning with the fridays. Check our facebooksite for opening hours. The Mission to Seafarers cares for and promotes the spiritual, moral and physical wellbeing of al seafarers and their families worldwide. The Flying Angel Club is the missions’ Zeemanshuis in the Port of Rotterdam; we provide a much needed rest ashore, 7 days a week/365 days per year, a chance to get away from the ship, contact relatives, play games, have a drink and relax. We provide computers and wifi to seafarers free of charge. We have billiards and table tennis, books, a chapel and many other amenities for seafarers to enjoy. Karaoke nights are held regularly with a great success, organized by our friends from C.A.S.C.O. And, of course we offer the seafarers a free transport from and to their ships. The organization brings ship and hospital visits to crews of all nationalities, but most of all to Dutch and Filipino crews. PKWR also supports activities in seafarers centers and organizes church services and commemorative events. 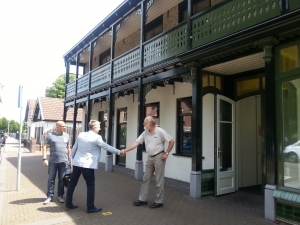 The Norwegian Seaman’s Church has been located in Rotterdam for a hundred years (1914) and has since 1876 visited Norwegian sailors in de Hollandse havens. “We visit Norwegian sailors under any flag every day. In cooperation with the Norwegian Welfare we deliver fresh newspapers for Norwegian, Swedish and Phillipins/Russians -in Europoort, den Helder, Moerdijk and Dordrecht-. We support them with contact with families, social problems and emergencies. Over the year there are not less than 11.000 visits to the Norwegian Church in Rotterdam”. Since its’ establishment in 2003, C.A.S.C.O. 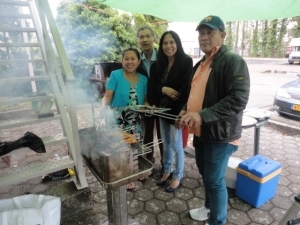 has as goal to provide in Rotterdam assistance to seafarers of all nationalities and beliefs. Special attention goes to the crews of ships that are in the port for a longer period, for example due to an arrest. C.A.S.C.O. volunteers visit the sailors on board and the foundation provides, if necessary, material assistance. Volunteers also make hospital visits to mariners. And the foundation organizes -almost monthly- karaoke nights at club the Flying Angel in Schiedam; seafarers who wish to attend this evening are transported for free to Schiedam and back. To conclude the evening volunteers distribute winter clothing that was collected. Once a year there is a nice barbecue evening and a big Christmas party. The organization visits crews on ships and in hospitals and carries out diaconal work that focuses on the needs of seafarers. 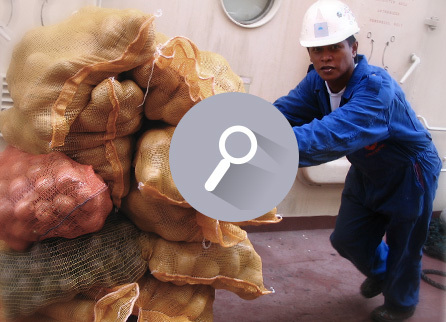 Particular attention is paid to seafarers in difficult circumstances. Delivers Christmas presents to crews of seagoing vessels of Dutch shipping lines and on board of ships calling around Christmas at the port of Rotterdam. Foundation in which a number of welfare organisations cooperate nationwide. Provides practical and spiritual aid on board with the aim of being a friend to the crew and to show the love of Christ in all areas.